Home IELTS Writing Task 2 Model Answer: Some people believe that we have too many choices these days. To what extent to you agree or disagree? Some people believe that we have too many choices these days. To what extent to you agree or disagree? The revolutionary advancement in modern technology has endowed people with substantial resources for their survival in the best possible way. The availability of variety of facilities has enabled the people to choose inalienable beneficial opportunities to adopt in their lives. In the present era, human beings have exponentially increased the number of options to avail in different fields like food, transport and business. Firstly, the creative methods to produce variety of food and its preservation have benefitted human population with provision of significant types of edibles during whole the year. For instance, non-seasonals can be bought from food market irrespective of the weather conditions due to modernized preservation methods. Secondly, while traveling, we can opt for many choices, according to affordability and convenience, due to inventions of faster ways of transportation leading to revolution in transport hubs. Furthermore, the advancement in education and development has endowed people with availability of enormous types of professional fields to succeed in their lives. There are, however, unequal distribution of positive aspects of technology. Many underdeveloped countries are lacking the basic necessities to survive like food, health and financial resources. Instead of having choices, they do not have an option to avail the fundamental human rights. To illustrate, the research data by WHO shows that 45% of population does not have access to clean water supply; 35% people are spending a substandard life. Moreover, certain job and study courses are limited to developed countries only, leaving others devoid of these advantages. In the light of the arguments I have hitherto considered, this conclusion is evident that, undoubtedly, people have access to many choices to enjoy in their lives but there is unequal distribution of beneficial resources. Everyone should have equal approach to all types of advantageous impacts of modern technology , and foremost, there should be provision of at least fundamental human rights. IELTS Writing Task 2 Model Answer: Cities are getting big and overcrowding. Give some causes and suggest the solutions needed. How to deal with the involvement of objection and reply in an argumentative essay ? Please , provide a decent method. I’ve uploaded my writing about this topic in Dropbox. could you examine that? Thanks for submitting your writing task for correction. 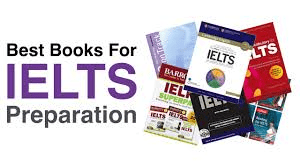 Please note that the correction service is available only for premium members of IELTS Twenty20 Course. Once you sign up, you can submit unlimited writing and speaking assignments and receive as much feedback as possible. Each feedback is marked as per the IELTS marking criteria and the report has a detailed breakdown of things that you need to improve on. This is the best essay that I have recently seen and searched about this topic. Can you share a piece of advice about how to deal with task achievement? Thanks for the kind words! I’m glad you found the essay useful.